Most people who live the hectic lifestyle that the modern era requires are suffering from some type of anxiety. Everyone is blaming the increase in anxiety disorders on the rushed lifestyle but maybe the real problem is not to be found there. 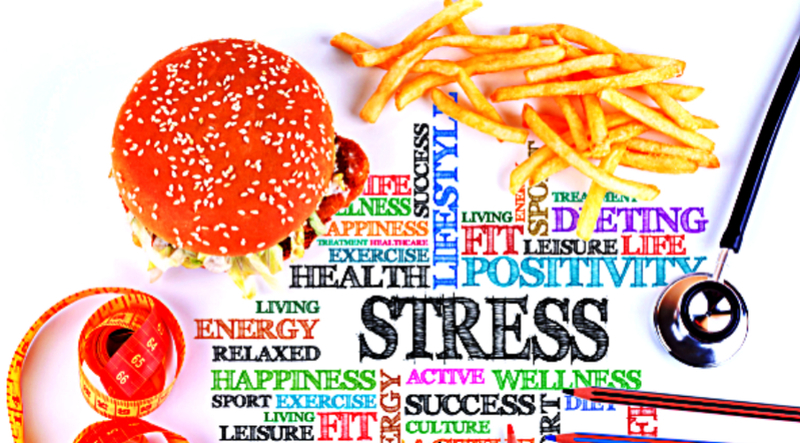 Maybe some of the anxiety people suffer from is due to poor diet and food choices that contribute to feelings of anxiety. There are certain foods that stimulate our glands to produce more chemicals. Such stimulus might result in an imbalance of our system. Here are the top 5 foods and beverages most people consume almost daily that can cause anxiety. Try to avoid them as much as possible. Celiac Disease, which is an immune mediated disease dependent on gluten, was reported to be associated with depression and other related mood disorders. Another study mentioned on PubMed found that the elderly population that was gluten sensitive were twice as likely to be diagnosed with depression when they were compared to the controlled group. People might assume, because alcohol is a depressant and often has a sedative effect on people, it could be used to unwind. The National Center for Biotechnology Information says that using alcohol to reduce anxiety will often backfire, in fact, prolonged consumption can actually cause anxiety. The Anxiety and Depression Association of America states that around 15 million U.S. adults have a social anxiety. They also mention that about 20% of people with social anxiety also suffer from alcohol abuse. So if you are suffering from social anxiety, it is best to stay away from alcohol unless you are confident you can consume it in moderation. Most people are aware that caffeine is mostly present in coffee, energy drinks, teas, and chocolate. Dietitians of Canada explains that caffeine excites the nervous system and has the ability to improve alertness for short periods of time. The Canadian Mental Health Association states that when someone is suffering from anxiety, or panic attacks, they can experience a racing heart and shortness of breath. Roland Griffiths, Ph.D., a professor in the departments of psychiatry and neuroscience at the Johns Hopkins University School of Medicine, said that caffeine can trigger anxiety. He also stated that caffeine can even worsen anxiety and panic disorders because it can cause jitters, irregular heartbeats, nervousness, and headaches. 4. Foods and beverages containing Sugar. According to Dr. William Cole, senior clinic director of Cole Natural Health Centers, current research has found that high levels of serotonin can make anxiety worse. Sugar is one of the main sources that can raise levels of serotonin. A study was conducted to see if there was an association between serotonin synthesis and social anxiety disorder. For the study, 18 patients with social anxiety disorder underwent PET imaging along with 19 healthy controlled participants. PET imaging is a nuclear imaging technology that allows you to see the metabolic process in the body. Results showed that there were increased serotonin levels in the patients suffering from social anxiety disorder. 5. Foods containing trans fats. According to a study published on PLOS, trans fat is associated with an increased risk of depression. Spanish researchers followed over 12,000 Spanish university graduates, who had no depression symptoms, for a total of six years. They monitored their intakes of various types of fat and their occurrence of depression as well as other mood disorders. Researchers found a substantial relative increment of 48% in depression risk among the highest category of intake. Researchers added that one of the reasons trans fats could increase depression symptoms is because of inflammation. Before adding or removing certain foods from your diet, I would suggest that you consult your physician first to see if you suffer from any mental health disorders and it’s smart to consult a nutritionist as well.